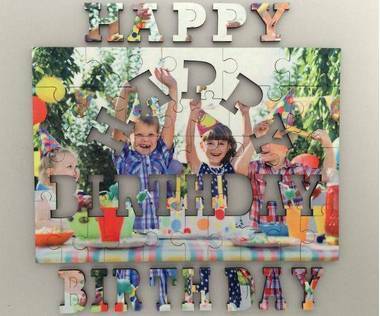 Personalised wooden jigsaw puzzle with Happy Birthday message as puzzle pieces! You can personalise this wooden jigsaw puzzle with your selected photo. 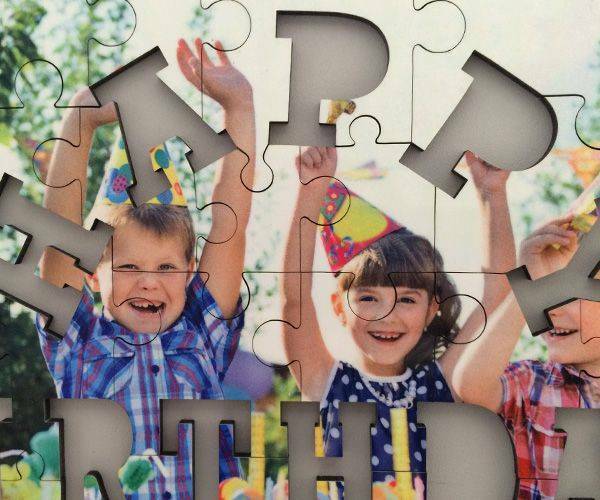 This wooden jigsaw puzzle has a message "Happy Birthday" cut out as puzzle pieces. 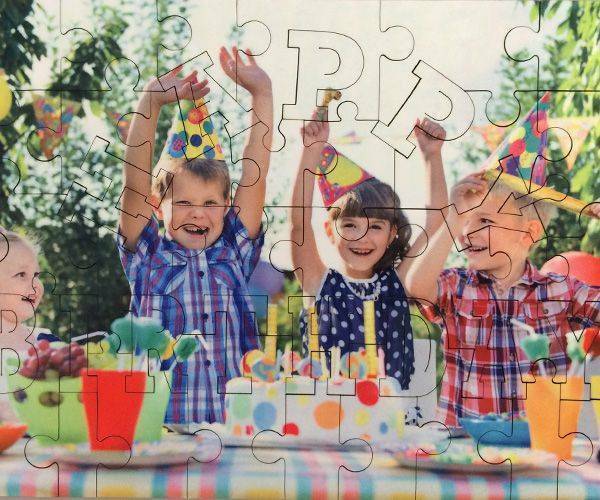 The message makes this jigsaw puzzle ideal Birthday photo gift. Simply upload your photo and add text message to create unique and interesting photo Birthday gift! 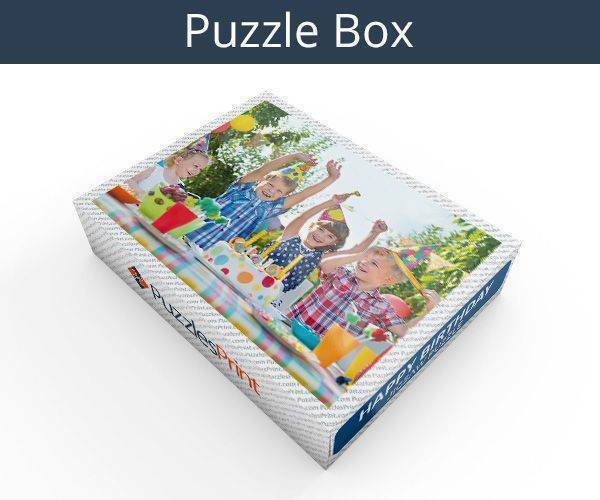 Jigsaws are just as popular as they ever where and now there are a special type that will have everyone who received one absolutely delighted. Made out of wood, the top quality item will be the star present at any birthday gathering. Regardless of the age of the person, they will be pleased to receive it especially when they realise the amount of thought that has gone into the purchase. 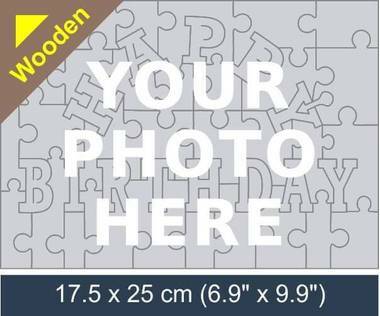 Happy Birthday wooden jigsaw will be totally personalised as there will be a picture that has been provided. No longer will the jigsaw be a random village or cottage but can be something or someone close to the heart of the recipient. 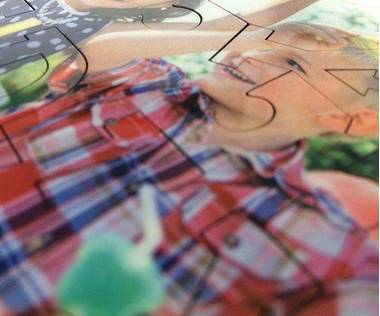 As long as the photograph is clear enough to show up well on the pieces, it will be accepted. Not only will Happy Birthday wooden jigsaw be personal by virtue of the fact that there is a picture on it, but it will be targeted at the celebration. The words Happy Birthday will have been cut out of the picture and once placed back into their slots, the photograph will be complete. There is not a list of photographs that are allowed but it will be expected that they will be suitable for all to see. As well as the main words – Happy Birthday - a message can be added to it will be completely personal between giver and receiver. Uploading the photograph is easy and if there is an issue – such as incorrect resolution- there will be notification so that this can be rectified. Help will be given all along the line and if there are problems that are not dealt with online, you can contact a member of staff for help. The finished Happy Birthday wooden jigsaw measures 10.6” x 8.2” and the wooden pieces are 4mm thick meaning they are easy to control and make up a good quality product. It will make the receiver feel special that they have been chosen to receive such a lovely item and that someone went to the trouble to arrange it for them. It really will be a Happy Birthday once this gift has been received.